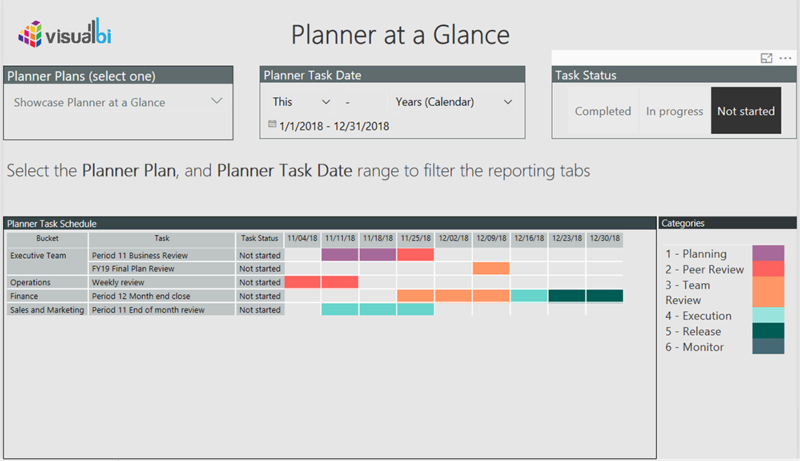 Microsoft Planner provides great in box visuals for tracking progress across buckets and tasks. 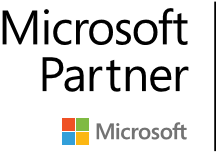 However, there are times when there is a need to provide a higher-level view of tasks across buckets and categories. 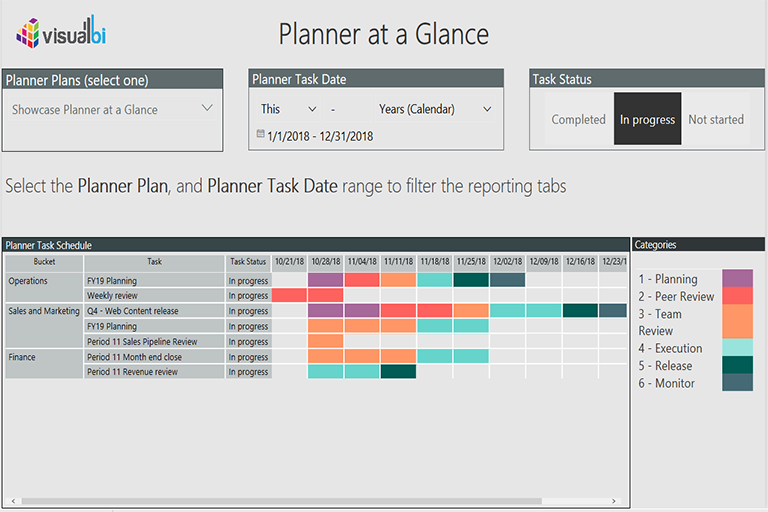 Visual BI’s Planner at a Glance provides a visual of all your tasks color-coded with the categories that are assigned across a monthly, weekly and a daily timeline with linked access to the detail task. 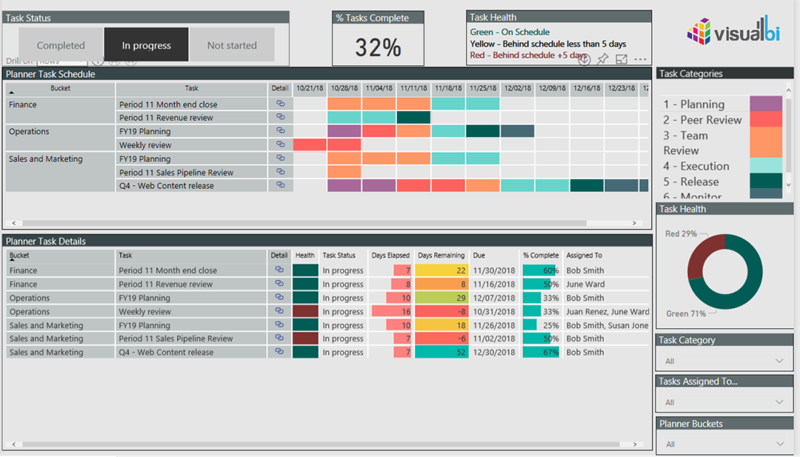 Drilling down into assigned tasks across each week is as simple as selecting the weekly column. 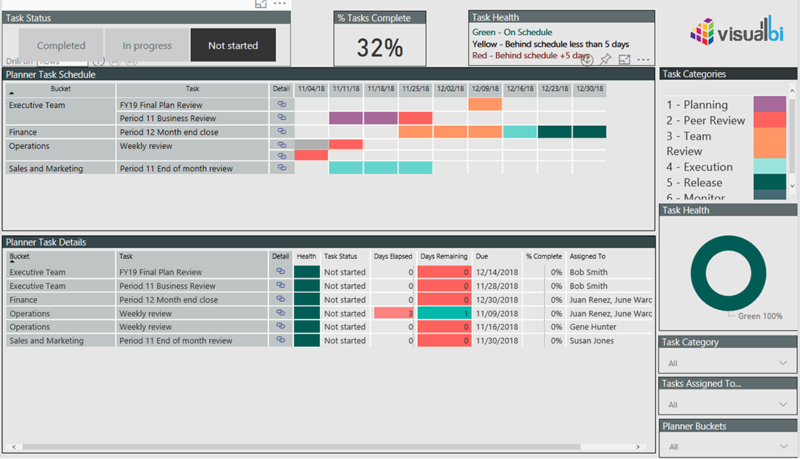 Contact Visual BI to learn how we can integrate Planner at a Glance with your Office 365 tenant and provide new insights into your team's activities.